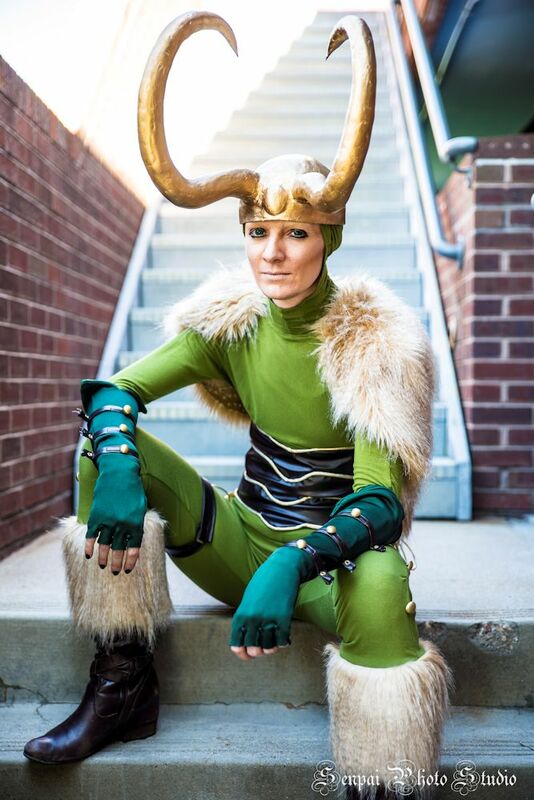 Interview with House of Loki Cosplay | Cosplay Blog… with a Brain! It’s time for another interview, this time with House of Loki Cosplay! 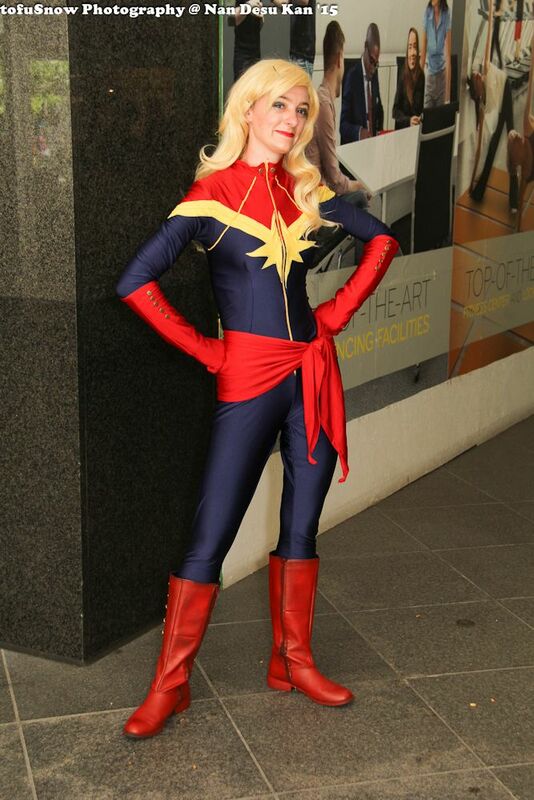 She’s a very versatile cosplayer from Colorado, who can transform herself perfectly into various characters! I don’t have an alias, exactly — I use my real name when I introduce myself. But the name on my contact cards is House of Loki Cosplay. I chose it because Loki was the first two costumes I did, and because he’s my favorite character in Marvel comics. While I was trying to decide on a cosplay name, I found a panel of him declaring, “This is the House of Loki, and he bids you halt!” and it made me laugh, so I decided to use it. I wore my first cosplay in 2013, but it was about a year after that that I started making my own and really getting into it. I had actually wanted to get into it long before that; I’ve been going to local cons for years, and I always thought the cosplayers were really cool. I just didn’t know what costume to do. After the Avengers came out I fell head over heels for Loki, and I started reading the comics. At the time, Loki was a child, and I was so impacted by that story arc that Kid Loki became my first cosplay. While I have done some armor building, most of my skills lie in sewing, so my favorite things are particular kinds of fabric. I used stretch moleskin for one of my costumes, and it has since become a material I will work with whenever I have the chance — it sewed like a dream and looks fantastic. Unfortunately, most of my favorite materials in my finished costumes have been the worst to work with in the constructing process — the fur on my Siege Loki costume is glorious, but it was rather awful to sew. I am looking forward to doing more armor work. I’ve got Kael’thas Sunstrider on my list for next year, and if you’re not a World of Warcraft player, he has some really spectacular shoulder armor, as well as floating, glowing things. This all sounds like a delightful challenge, to me — finding a way to build those shoulders, keeping them light enough to wear but still durable, and learning to use electronics for the glowing parts of the costume… I’m looking forward to the challenge! There are two things that come to mind; the first is dedication to accuracy. As much as I love the really creative costumes that people do, I am always impressed by the people that go the extra mile to get all the details exactly right. Recently I have watched Silhouette Costuming and Cosplay construct one of my favorite costumes that Loki wears in the movies, and it has been awe-inspiring to me to see how perfectly she replicated the complex design. Teca is another — her costumes are stunning, and for the sake of accuracy she once spent a thousand hours hand-beading one of them. That’s incredible, to me, and I love it when people do that sort of thing. The other trait I adore is not about the costumes themselves, but the people wearing them; I love the people who go the extra mile to be in character. I try to get the body-language, personally, and I practice posing… but some people go a lot further. Scoundrel Cosplay and one of her friends bring Miguel and Tulio (from the Road to El Dorado) to a lot of local events, and they have perfected not just posing, but facial expressions, voices, in-character interactions with people… they’re fantastic. This year they started doing Kuzco and Kronk from the Emperor’s New Groove. When Dave speaks, it is in Kronk’s voice — and everything he says is in character, just like Kronk would say it. He even has the laugh. It’s wonderful. I think it’s delightful! They’re some of the most welcoming, supportive people I have ever met. If I don’t know how to do something on my costume, chances are there’s someone around who can help — and they’re happy to do so, at least by offering advice. They want more people to get involved. There’s so much joy, so much delight in what they do. I think it’s great that we call it “play.” Most cosplayers aren’t trying to make a career of it; it’s a hobby into which they put thousands of hours and dollars, simply because they love doing it. I feel like people new to the community often feel a lot of pressure to be “better” at it before they can be welcomed. I’ve talked with people who don’t think they are “real” cosplayers, or who don’t think their costumes are “good enough” to work with certain photographers. I always take pictures with my doubles — people wearing the same costume or cosplaying the same character I am — and sometimes they seem surprised that someone like me would want their photo. The fact that people feel unworthy — of me, of the photographers, of the community itself — makes me sad. I’m not sure what can be done about that. I know that the lists that go up on various websites with the “best” cosplays from whatever con probably don’t help, nor does the fact that con photographers are always looking for the most spectacular cosplays to take pictures of. I think we as a community need to strive to reach out to people who are new, who don’t have the skills the veterans have, to show them that it’s okay, we’re here to help. It doesn’t matter how amazing someone’s cosplay looks to you; to them, it’s not good enough. Every cosplayer I know has things they hate about even their best costumes, flaws that no one else even knows are there. I’ve wanted to remake my Loki helm since before I finished this one, because the horns are ever so slightly asymmetrical. No one else can tell, unless I point it out to them and they look closely. So the advice I would give is this: your costume is better than you think. You’ve been staring at it for hours on end as you constructed it, you know which parts of it didn’t go the way you wanted them to, you know where you messed up. No one else does. Don’t get discouraged by those things that didn’t go quite right; if it bothers you too much, you can re-make it later. In the meantime, no one is going to criticize you for it. Denver Comic Con is the con I consider my home con; it was the first one I cosplayed at, and the big event for my year. 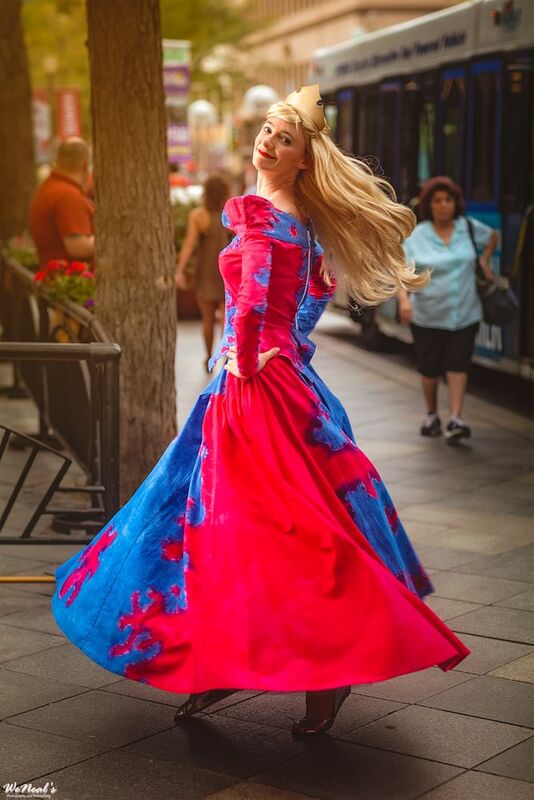 I love the scale of it, I love the organizations, there are always panels I want to see (though I often end up not going to them), I love being downtown in costume… I love everything about DCC. I’ve been attending Nan Desu Kan for much longer, and I love it, but I am more a comics fan than an anime fan, so DCC is closer to my heart. This year I went to my first out of state convention, Emerald City Comic Con, which was also fantastic. While I am not terribly proud of the construction on my Malekith costume — there is too much hot glue and improvisation for me to take pride in my workmanship — I am incredibly proud of the costume as a whole, because of all the other stuff. 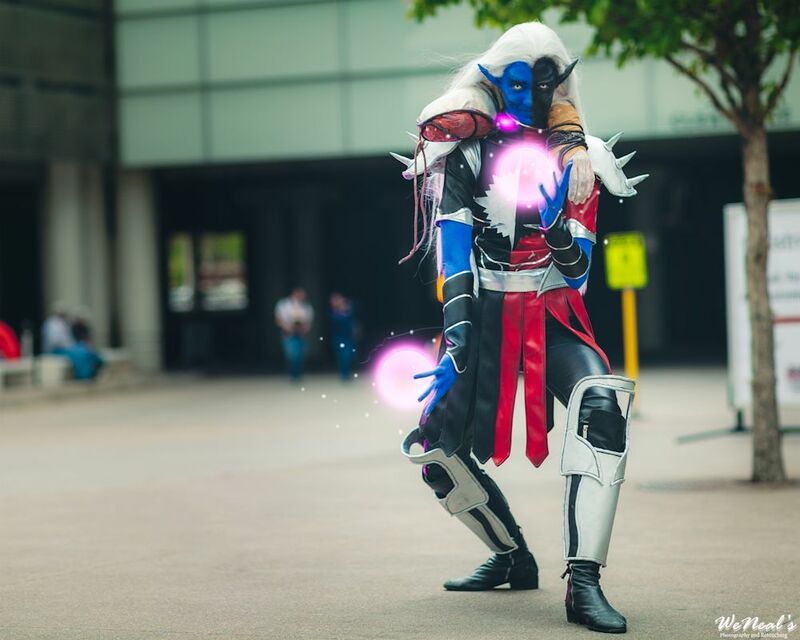 Malekith was my first experience with lace front wigs and prosthetic ears… and body paint. I am particularly fond of the makeup; I always have fun with contouring on male characters, and Malekith is cartoonish, which made the makeup that much more fun. As for a random fact: it takes me three hours to get into Malekith, and I have to have assistance. Everything has to be done in a very specific order: first I put the pants, boots, and binder on, and the contacts in. Then I do the makeup on the arms and neck. Then I put the tunic and gauntlets on. Then I glue the wig and ears in place. Then I do the face. Then I put the armor on and get the arm placed around my shoulders. Lastly I do the hands—because no matter how well I seal the paint, I always seem to leave blue on things. It’s quite a process… and that’s why you’ll only ever see me wear that costume on the first day of a convention. Thanks for the interview, House of Loki Cosplay! You can check out her Facebook page here, her Tumblr here, and her Instagram here!